This project aims to fund the elaboration of a Risk Management Plan for the property Quebrada de Humahuaca by providing technical support to the State Party of Argentina and to provide specific training to the local communities. The project answers to the concerns of the World Heritage Committee raised by Decision 27 COM 8C.17 as well as the common goals set by the “Action Plan for the implementation of the World Heritage Convention in the Latin America and the Caribbean Region” (PARALC 2014-2024) and the “Action Plan for World Heritage in South America” (PAAS-2015-2020) endorsed by Decisions 38 COM 10B.4 and 39 COM 10B.4 of the World Heritage Committee. This project is part of the Marketplace. The Quebrada de Humahuaca was inscribed on the World Heritage List in 2003 as it was used as a crucial passage for the transport of people and ideas from the high Andean lands to the plains following the line of a major cultural route, the Camino Inca. At the moment of the site’s inscription, ICOMOS noted that flooding was an important threat to the property and seemed to happen most years because of excessive rainfall and local landslides, the seismic and volcanic activity in the area and was exacerbated by illegal tree felling and other vegetation changes. As a key strategy, a Program of Pilot Projects in South America (PPPAS) was established in the framework of the elaboration of the PAAS 2015-2020. This project was one of the projects selected by the State Parties in line with the Expected Result ER4-A4: Development of projects on risk management and mitigation on World Heritage properties, in particular those associated with anthropogenic threats or by nature. This project aims to fund a Risk Management Plan, through the technical cooperation of an ICOMOS expert who will provide onsite and semi–permanent support to the national authorities, and act as a facilitator for sensitisation with issues related to risk management. This project will contribute to strengthen risk management planning, with the goal of preserving the Outstanding Universal Value of a World Heritage located in a risk challenged area. An Inter–Institutional Coordinating Board for the follow-up of the Plan is established. The Plan for Risk Management at the Quebrada de Humahuaca is disseminated. Establishing the objectives, scope, audience, responsible agencies, and costs for the Plan. Identifying and assessing disaster risks for each of the archaeological remains, according to the standard methodology and practice. To inform relevant agencies and civil society (local communities) about the Disaster Risk Management Plan for the Quebrada de Humahuaca. The region is subject to high geographical and climatic vulnerability, which has considerable effects on World Heritage. Most importantly, natural disasters are exacerbated by climate change and have had significant impacts on the state of conservation of several World Heritage properties in the region. This highlights the existence of limited mechanisms and tools to assess prevent and mitigate those impacts. In this context, the project considers that capacity-building should be directed to both national institutions and the local communities. 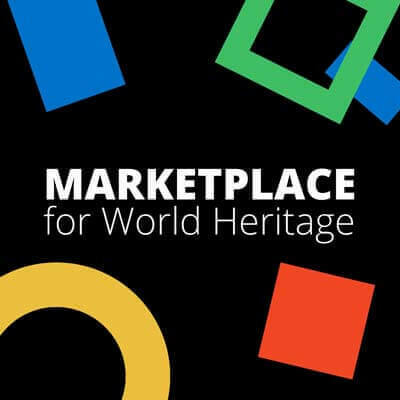 Furthermore, it is expected that the project will seek measures not only regarding how heritage can be preserved but also the way in which heritage can be used to improve resilience to natural and human-induced disasters. Month 12: reporting to the donor. An estimated overall extra-budgetary funding of US$ 100,000 is needed for the implementation of this project. These funds will cover consultant’s fees, national technical coordinator, travel and accommodation expenses, communications, joint report production, as well as translation in the two official languages of the Convention, design and printing of the appropriate information material.